Bria and Breana, both moms and photographers, intended for their kids to innocuously play "dress-up," but many found the themed photos to be anything but innocent. 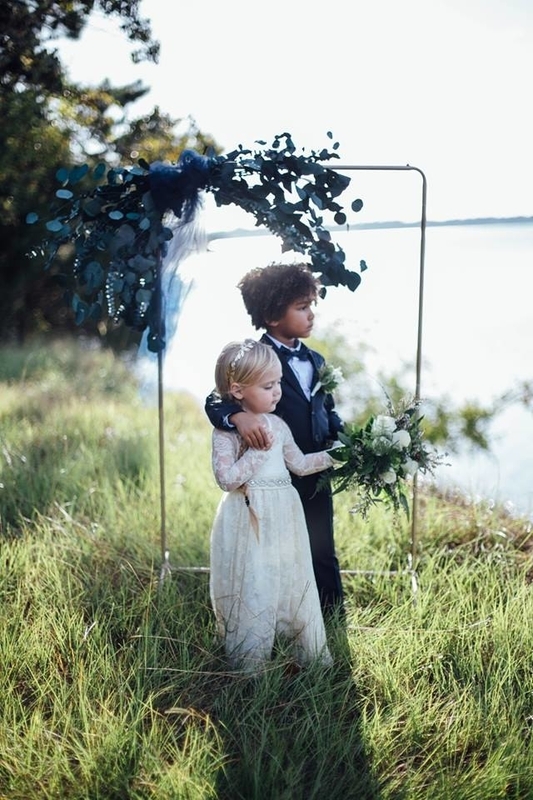 Last week, two moms from Texas, both professional photographers, decided to photograph their own kids in a wedding-themed photo shoot. 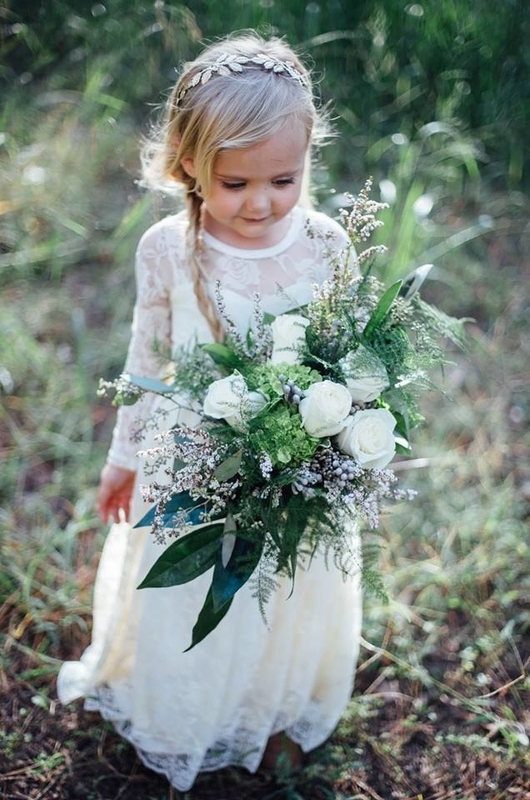 Ella, 3, played the part of the bride, and 5-year-old Sullivan played the groom. Ella's mom Breana and Sullivan's mom Bria told BuzzFeed News they had been planning a shoot with their children "for a really long time." They eventually settled on the wedding theme. 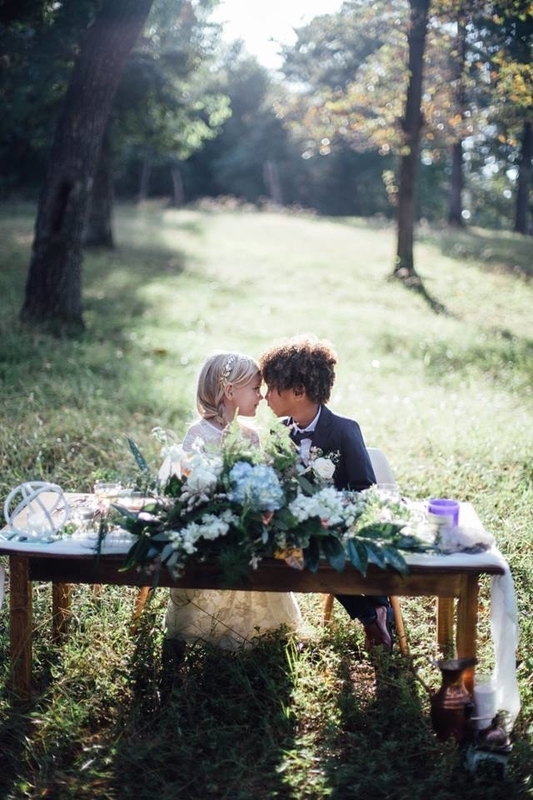 "You see so many old-time photos of dress-up weddings, and the kids do dress-up weddings, so why not," Breana said. “They would run from one set to another set holding hands the whole time... They even kissed once or twice and it was the funniest thing I’ve ever seen in my life,” Breana described the shoot. 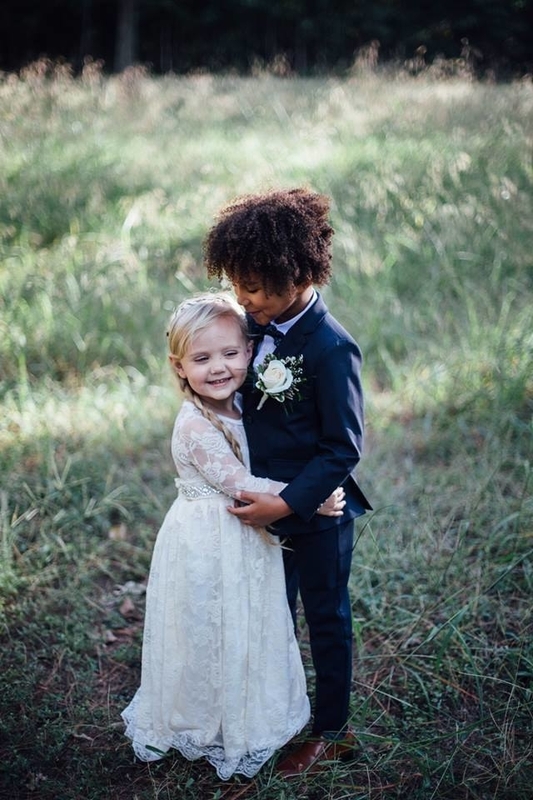 “I would die of happiness if they got married in the future,” she added. 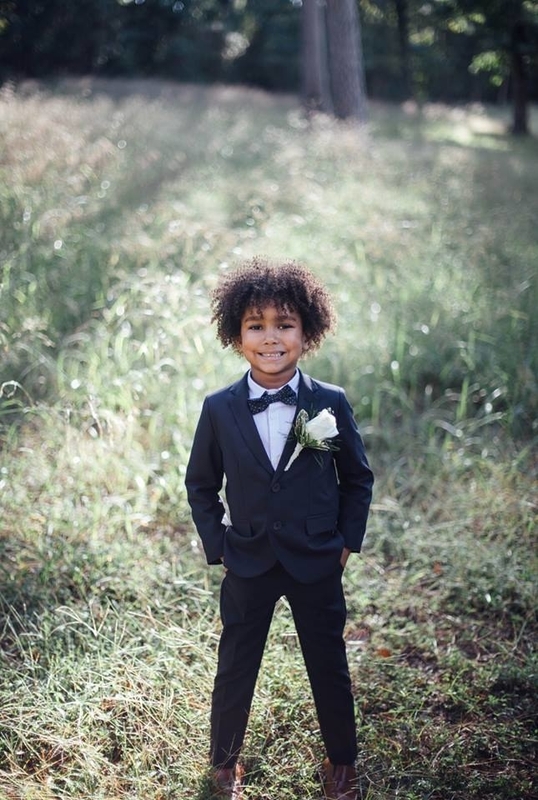 The response from Breana and Bria's immediate social media circles had been mostly positive — many friends and family complimented the quality of their photos and how "adorable" their kids were styled. However, after ABC News promoted their interview and feature over the weekend, the public opinion had shifted. 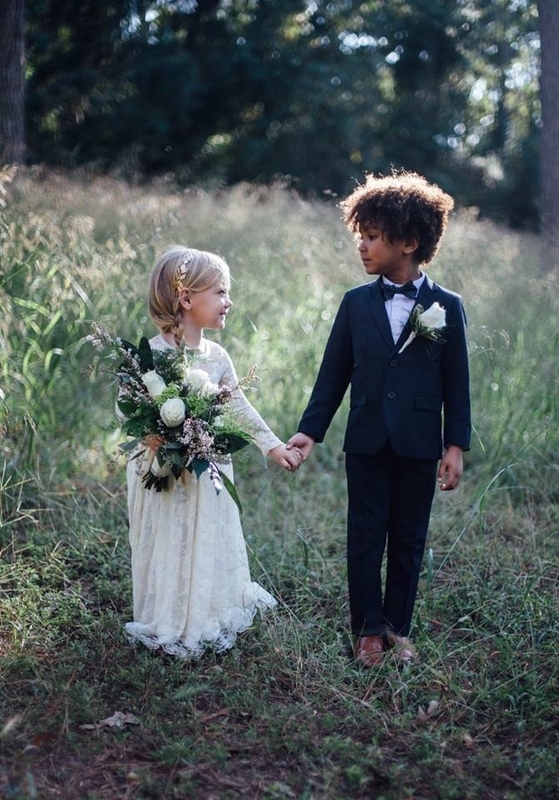 People took issue with both the optics of the shoot and how the friendship between young children was being represented. @ABC This isn't magical, it's creepy and tells the kids that cross-gender friendship must have a romantic/sexual component. They did not see the "fun" or whimsicality in the mom's photos. 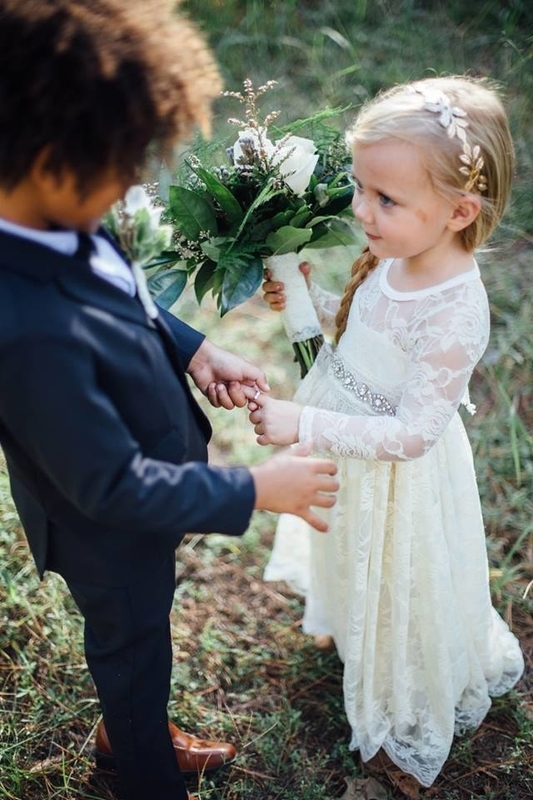 Many believed two children role-playing a romantic wedding was an example of "sexualizing" and "fetishizing" their innocence, and pushing an adult fantasy onto children. @ABC Disgusting, not magical. They're being sexualized, ffs. Let them be kids. Others did not articulate it as critically, but expressed their general discomfort with the photo shoot concept. @ABC Something about this makes me super uncomfortable. The backlash has only grown this week. @ABC Is this straight culture? Breana said she's disheartened and confused by the negative reaction. "I don't understand how people can take something done for fun and innocently and turn it into anything sexual," she said. "It's sad." "Me and my friend participated in a shoot that we did not realize was going to be picked up. Overnight we went viral," she said. "If I ever thought that anyone would have come to that conclusion I would have never done this with my child." She reiterated that this was all done innocuously and for "fun." The moms have even received harsh and disturbing threats, Breana said, including one from a stranger who said her daughter would get pregnant at a young age. "I've been called every name under the sun and accused of every disgusting thing you could ever think of," she said. Breana believes she's experiencing symptoms of cyberbullying as a parent. "Never in my wildest dreams did I think I was opening up my child or myself to Internet bullying." 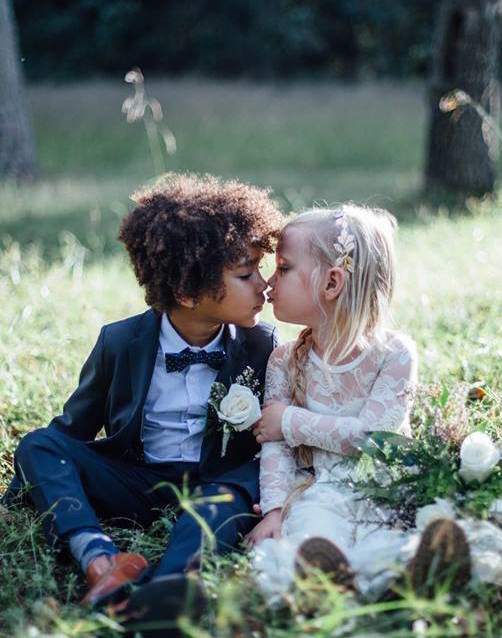 Some claim they're imposing heteronormative agendas on their children, which both moms deny. "You can't teach kids who to love. You can teach them who to hate, and we've worked hard to make sure no one is on that list," Bria said. "All we can do is encourage them to love all people," she added. Breana and Bri stated and restated that they did not ever intend to offend anyone with their wedding-themed shoot. While they understand people will continue to have opinions, they hope people will approach them with "kindness." "Everyone is entitled to [an opinion]; you don't have to like everything that you see on Facebook or social media," said Breana. "But remember that somebody's on the other end of that feedback you're giving. Kindness goes a long way."